If only you could taste how good this dish is! But since you can’t, you’re going to have to take my word for it. It’s everything I love in a meal and it’s all ready in about 30 minutes. I love using spicy chicken sausage to give it a little kick, but if you want to make this mild for your family, simply swap it for sweet Italian. I don’t know about you, but for years I tried to like whole wheat pasta and never found a brand that my family would eat. 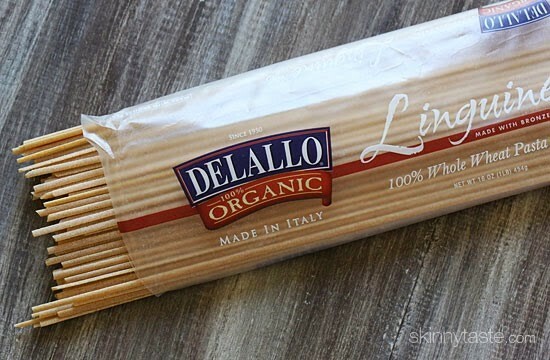 Then last year I discovered DeLallo organic whole wheat pasta and it changed my life. My Italian husband who is pretty picky about his pasta also loves it, and now it’s the only brand of whole wheat I will ever use. Their gluten-free pasta is also AMAZING so if you can’t eat gluten, you can easily swap it out. 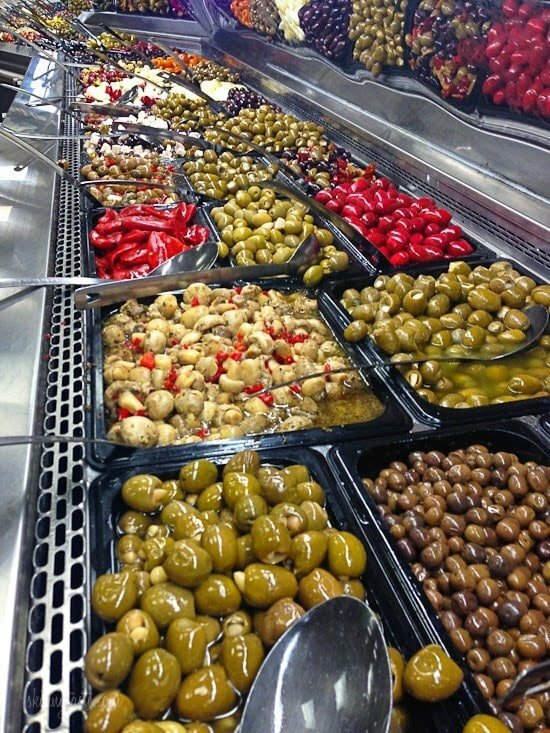 A few weeks ago, a few bloggers including myself got a chance to visit the Delallo Italian Marketplace in Jeanette, PA which was established back in 1954 as a small market and has grown into a large marketplace complete with the largest antipasti bar I’ve ever seen! The DeLallo family visits Italy and works closely with the BEST of the best which allows them to import the highest quality pasta, tomatoes, olive oil, etc. If you are ever in that area, you must stop and visit – I was in DeLallo heaven!! Luckily, many of their products can be found in supermarkets across the country and you can also order their products online. We stayed up the road in their home and cooked together, ate together and of course laughed together. They even made this fun video of our pasta making and some Q & A’s – check it out! Heat a large skillet over medium heat and cook the sausage until browned and cooked through, breaking it up as it cooks. Set aside. Add the oil, onions, roasted peppers, garlic and kosher salt and black pepper to the skillet and cook until golden, 4 to 5 minutes. Add the tomatoes and chicken broth and return the sausage to the skillet. Bring to a boil, reduce heat and simmer on low 15 minutes. Meanwhile cook the pasta in a large pot of salted water according to package directions. 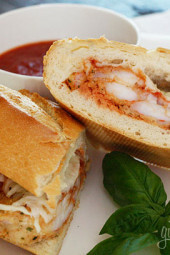 Drain and toss with the sauce and Pecorino cheese, cooking and stirring about 2 minutes on low to marry the flavors. Finish with chopped parsley and serve with more cheese on the side, if desired. Add the oil, onions, roasted peppers, garlic and kosher salt and black pepper to the skillet and cook until golden, 4 to 5 minutes. Add the tomatoes and chicken broth and return the sausage to the skillet. Bring to a boil, reduce heat and simmer on low 15 minutes. Meanwhile cook the pasta in a large pot of salted water according to package directions. Drain and toss with the sauce and Pecorino cheese, cooking and stirring about 2 minutes on low to marry the flavors. Finish with chopped parsley and serve with more cheese on the side, if desired. This is one of my favorite pasta dishes! It’s my go-to in the Fall/Winter because of its heat and comfort-food quality. I can’t always find chicken sausage, so I buy hot Italian turkey sausage and slice it thin after cooking and then I toss it into the pan. So yummy and filling and EASY! My husband and I love it, so we make it again and again. We going to try this in the IP. 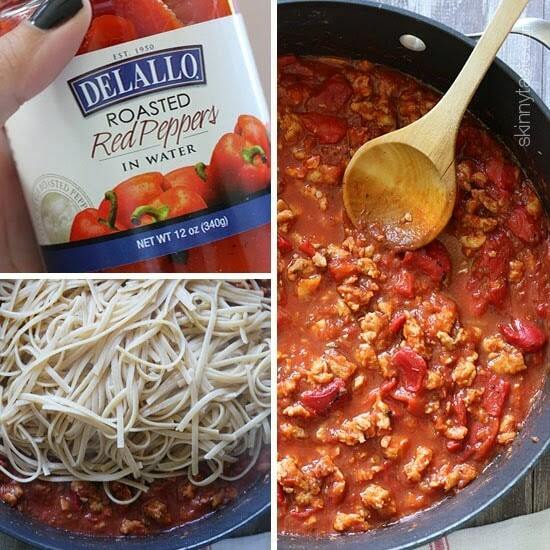 Making it similar to your one pot spaghetti recipe. I’ll be adding extra liquid of course. Hope the one pot works. This was SO good. My boyfriend and I both loved it! Had a little bit more than a serving and was nice and full! This is going on the shopping list! What makes the sodium content so high? This looks delicious! I’d love to bring it to a party. Can this be made ahead? Would it reheat well? I’ve made this twice in the past week. It’s so good. And my kids scarfed it. My husband and I love this dish and when eat Paleo we sub spaghetti squash for linguine and it’s still so delicious! Thanks, Gina! Yum, this was delightful–thank you for sharing! Just made this for dinner and it was great. The whole family loved it. Just found this you looking forward to more great recipes. This was excellent! Definite keeper, thank you. 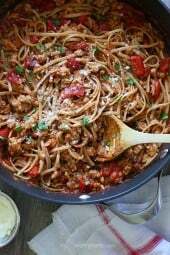 Pingback: 20 Pleasing Pasta Recipes - It's me, debcb! Awesome! Only look at these pictures make me so hungry. I'll try it for my dinner tonight! Thanks. This was delicious!!! I made this recipe for dinner, and the family was thrilled with the taste and the look of the food! I like spicy so I added crushed red pepper!! Fantastic!!! Oh my god, It looks so yummy. 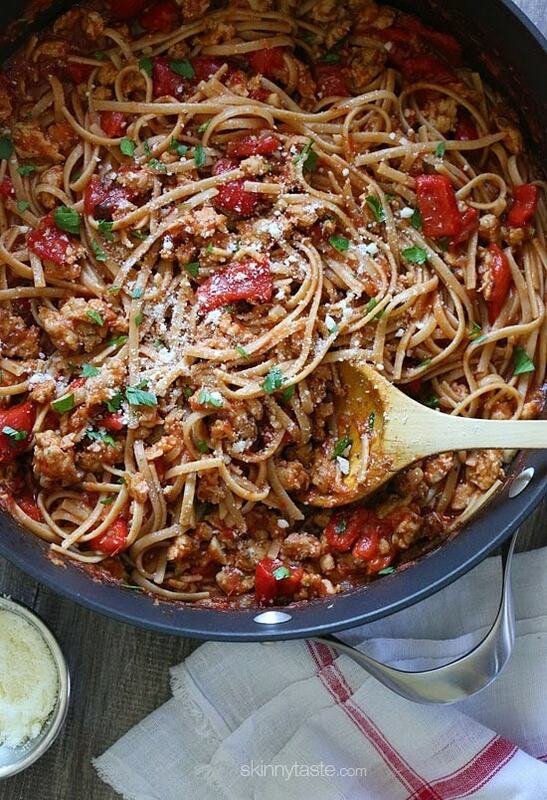 Your spicy whole wheat Linguini is great. and we need to eat food which contain free-gluten, it is better for our health. Thanks for the recepie and the DeLallo organic whole wheat pasta you has introduced. My family and I used to visit every time we were seeing our grandparents in Greensburg and Ligonier. Now that I'm in Minnesota it makes me sad I can't go there, but so happy I find their items on the shelves of our grocery stores. Tried it and it turned out pretty good. Though I think I overdid on the black pepper. Oh thx, this is my favourite!! 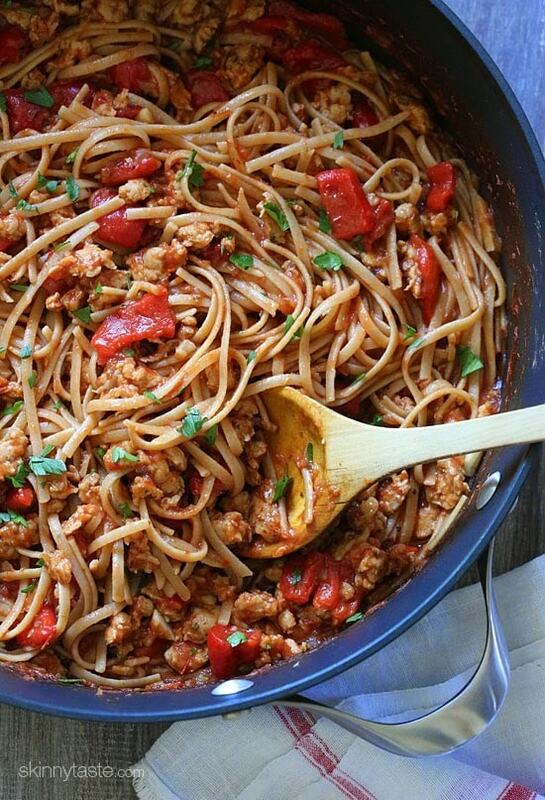 oh wow – that recipe for whole wheat spaghetti is incredible! This is the post for me! There are only two things that I can not stand the whole grain version of…tortillas and pasta. I always feel so weird grabbing the white versions, but I just can't do it! I am going to keep my eye out for the brand! Will it taste just as yummy if cooked with spaghetti? WOW! Looks delicious. Which brand do you recommend if I am unable to find them at the grocery store? I made this for dinner tonight! Thank so much. They look so pretty! These are actually a very popular street food where I live! Need to try your version! And it’s summer all year long here (super hot)! Oh my gosh these look amazing! All that glaze is triggering my sweet tooth! Thank you very much. I enjoyed this dish . I like spicy ! Great recipe! I added fresh mushrooms and shredded zucchini, used a generous splash of white cooking wine instead of chicken broth, and added only a cup of crushed tomatoes and that was plenty of liquid. Maybe cause I used regular linguine? Will definitely make again! Mam insisted of chicken can i use paneer? Another great recipe to add to the rotation! The first time I made this I substituted drained diced tomatoes and a tablespoon of tomato paste for the crushed tomatoes. Having now made it with the crushed, I actually prefer the diced and found it reheated better, without any stickiness. Gina, your recipes are a treasure. Many thanks! We had this last week and it was a huge success (no surprise – all the recipes we have tried from you have been fantastic)! My husband is super resistant to eating whole wheat pasta but he said it tasted awesome with this recipe. 🙂 Thanks so much for sharing! 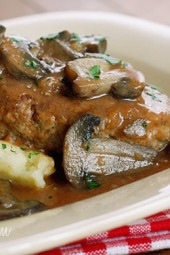 I made this recipe for dinner last night, and the family was thrilled with the taste and the look of the food! I made a double recipe so that there would be leftovers, and I used one package of hot Italian and one package of sweet Italian sausage. It was delicious! Now it's posted on Facebook, and my mother and daughters had to have the name of your website! We are eating healthier now, and have enjoyed all of the recipes I've tried from skinnytaste! You have gotten me excited about cooking again! Thanks so much, and keep the great recipes coming! I LOVE Delallos! The pasta of course looks wonderful as do all your recipes, but what made me comment today is the visit to Delallos in Jeanette. As I was growing up in North Dakota, no visit to my grandparents in Pennsylvannia was complete without a visit to Delallos. And now that I'm in Texas, I still make my pilgramage to Jeanette whenever I can and am so happy I can find their great products in my local HEB. Thanks again for bringing back the memories. Wonderful story, I can see why. Such a special place! 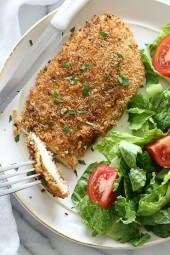 Making this for dinner tonight, can't wait!! As always, thank you Gina. I picked up your cookbook and have tried a few new recipes, all have been wonderful! I literally never cook but am going to try this tonight. Can someone please tell me if I can use just roasted red peppers or do they need to be the ones in the jar? And do I drain it first or pour the whole jar into the mixture? Also, what kind of onions is it calling for? Red? Purple? Green? This was delicious!!! I like spicy so I added crushed red pepper!! Fantastic!!! This was great made with turkey sausage. Totally delish…Hubby love it too thanks Gina! making this now….to drain or not to drain the peppers? TOTAL SKINNYTASTE HOUSEHOLD and BIG promoters! I could not find chicken sausage or turkey sausage. Any tips on what I'm looking for? I made this tonight. I used Turkey Italian Sausage. First time trying this pasta; it was awesome! The entire dish was amazing!! I made this recipe with a spiralized Zucchini instead of pasta and just loved it! Merci pour vos belles recettes, j'ai fait l'achat de votre livre et j'aime beaucoup !! I made this for dinner tonight! I have to thank you, my yoga class was going on and on about this site and we decided to try a bunch of your recipes. We either had our members cook the night before and bring in a crockpot or prepared them in class, and we had a big lawn party with absolutely delicious food. From all the folks in our yoga class, a BIG THANK YOU for providing us with wholesome feel good food. Aww, that just made my day!!! Gina, where do you get Delallo on Long Island? I live in NYC and haven't seen it here yet. LOVE your cookbook! It's my "coffee table" book! A. Call us at 1-877-DELALLO and we will help locate a grocery chain nearest you*, but don't forget you can order from our online store 24 hours a day. Thank you!! I find it at Stop and Shop, but I would look on their website. I made this last night. My husband & I loved it! So easy too. I LOVE Delallo's – my family and I used to visit every time we were seeing our grandparents in Greensburg and Ligonier. Now that I'm in Minnesota it makes me sad I can't go there, but so happy I find their items on the shelves of our grocery stores. Did you you Primio hot chicken sausage? It really looks delicious! Made this tonight for dinner. Couldn't find the hot sausage so I used just the Italian Chicken Sausage. My husband is so picky and really hates peppers….I cut them up small so they blended into the sauce. He had no idea, ate every bite, went back for seconds, and then told me he liked it better then his grandmas….even with the Gluten free pasta! This is a keeper! What type of hot italian chicken sausage do you use? I can never seem to find this type of meat. look for turkey sausages, they are awesome and very low in fat and calories. Premio makes a good Italian chicken sausage! If you have a Sprouts store in your area they sell chicken sausage by the link. They have non spicy and spicy. So good! I am going to try this with spaghetti squash instead of regular pasta for an even healthier dish. Thanks for the inspiration. Great idea! Love spaghetti squash – will try recipe now with squash. Sold me on the recipe! Yummm! 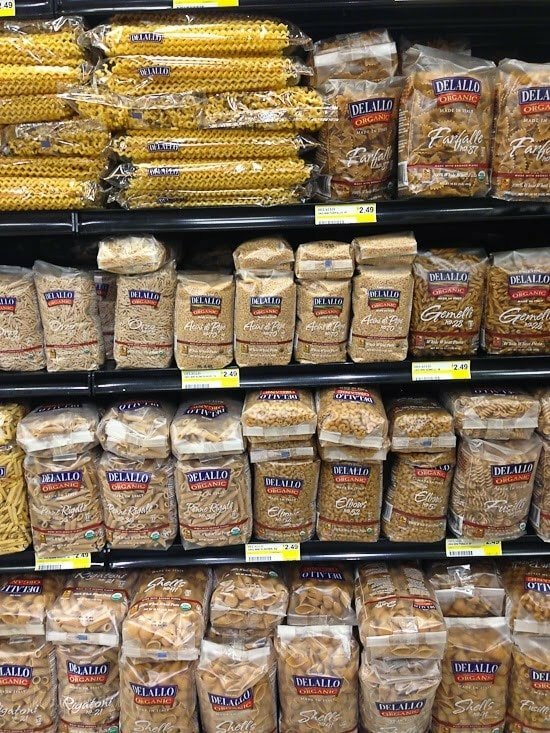 I love the Gluten Free Pasta from DeLallo and love that I can get it at Wal-Mart! It tastes and cooks just like regular pasta and comes in different shapes! I just got the cookbook and have been using it everynight- love it!